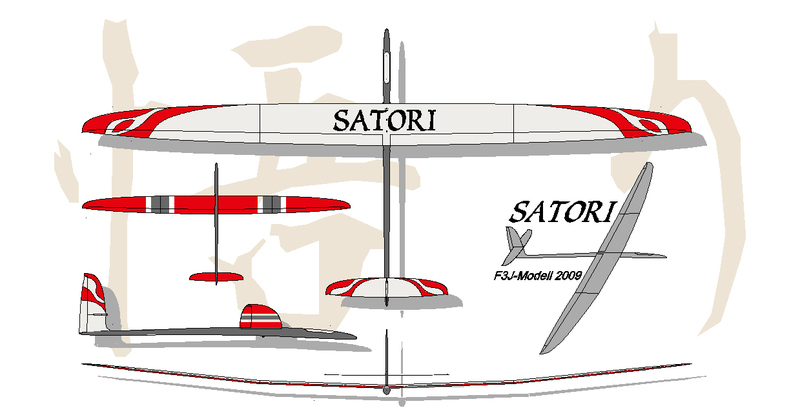 SATORI is one of the most successful F3J and F5J-models.Pilots like it especially for its good penetration and gliding performance but last but not least because it is a very elegant and beautiful glider with outstanding design. We always optimized the model during the last year and now it time for a more visible facelift: the SATORI-2pro ! The new wingtip with modified airfoil and wingspan of 3,80m is the hightlight of the new version. Also there is a new fuselage with bigger rudder fin and longer v-tail boom. also the nose is pre-cut for 30mm spinners.For pure gliders there is a additional glider nose. New SATORI-2pro offer more lift in comparison to 3,60m-version SATORI-1. It is optimized for F3J and F5J soaring but it still keeps the beloved alround and dynamic performance which make the SATORI so popular ! You may choose between standard linkage version for wings and clean iDS-version wing ! Also the new wingtip offers the possibility to create a 6-servo wing. The landings (brake) with new 6-servo wing are amazing ! Also constructionis optimized: we offer now several evrsion of carboline spreadtow and wing is produced with new colour and paint-system for even better surface and shine. We can do various personal version but for short time delivery you may also choose the most popular version from our COLLECTION an ! Weiter Infos zu den verschiedenen Bauweisen gibt es hier....! 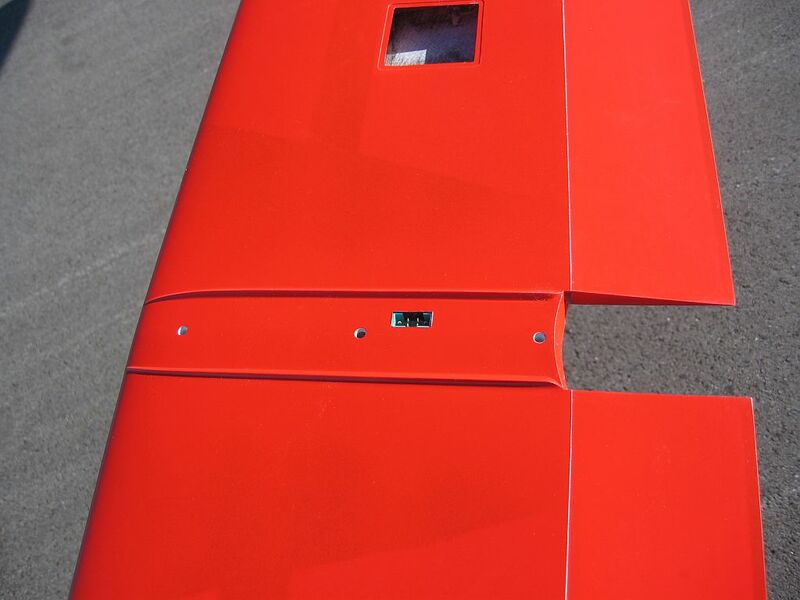 For standard all-day flying you may install elevator servo driectly into v-tails! This allow easy transportation and also more room for battery under the canopy ! New version with optimized V-tails and fuselage in NT-Technology (vacuum ). Very successful flown in 2013 F5J and F3J competitions ! Choose the best construction and version for your flying style ! 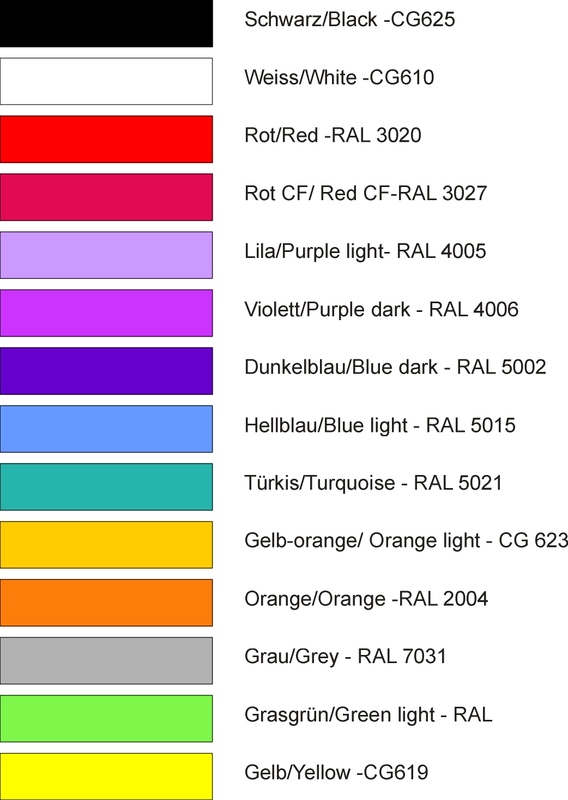 You may choose your favourite colours ! For electro version we offer the option to install 2 servos directly into v-tails ! This helps to release the v-tails much easier for transport and offer free space in canopy area ! 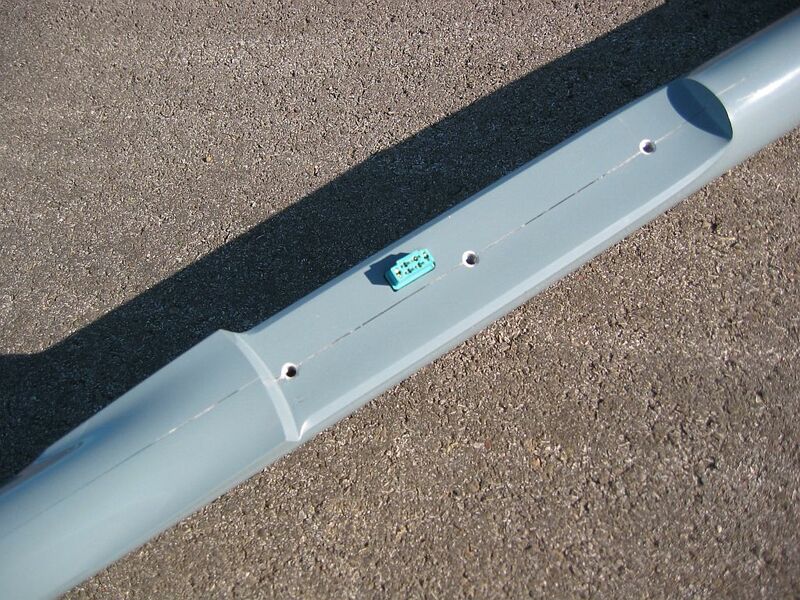 Only small part of micro quicklink is visible on v-tail bottom : a perfect solution ! One of the most successful F3J and F5J gliders ! unique design, handling and performance for competition, alround and electro! For more videos of Satori and other Aer-O-Tec-Models see Youtube-Kanal of user "Orcaf3j" ! Our new F3J-competition glider has shown a lot of its potential during the last weeks ! Flight tests : Successful flights in windy conditions show Satoris alround performance ! conditions, large speed spectrum, and very good glide angle against wind. new high performance airfoil with very good response on camber changing. Pre-installed tow-hook, pre-installed cables and connectors, pre-installed horns for aileron and flaps. Carbon 68g or 80g version and spread-tow carbon available. Sleek Cross-tail fuselage. 2.4 firendly. Satori letters on center paneel in carbon design. Comes with protection bags for wing and elevator, servo frames for s3150 and small part package.